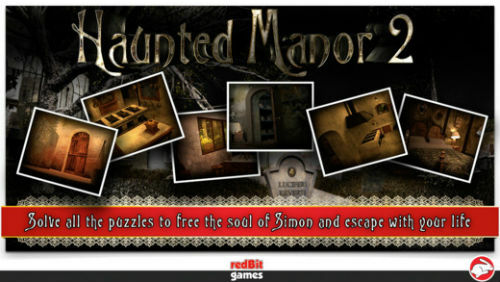 The second game in the Haunted Manor series is easily superior to its predecessor, and is probably one of the strongest in the hidden object/point and click genre on mobile, as it is a clever and compelling game with a strong theme and good puzzles. 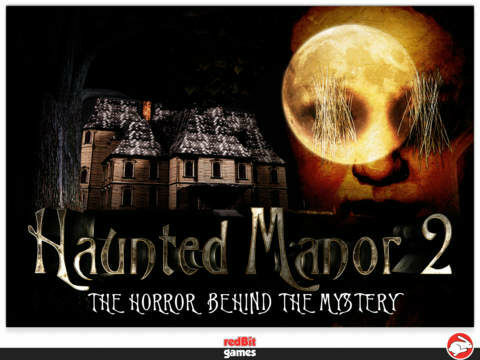 Haunted Manor 2, available for iPhone and iPad through the Apple iTunes App Store, tells the story of the Sterling family, who inhabited (or should that be inhabit?) the titular manor in the game, and it is up the player to explore the mansion and solve the riddles contained within. The story is pretty good and has a couple of decent twists, but it is the puzzles that really hold the game together, as they are satisfyingly tough and all take some time to figure out. Some of the puzzles are perhaps a little too obtuse, and some players would have appreciated some kind of a hint system, but they are overall fairly well-balanced with a good difficulty curve. The graphics are of a high quality, with superbly detailed scenes and images that really help to draw you into the mystery of the manor. There are 25 rooms to discover and explore in the game, with a nice variety in locations and settings throughout. With plenty of places to explore and many items to find, there is a lot here to keep you going, although I wish there were some replay value such as a more difficult new game+ or a remixed mansion after you finish the game. Haunted Manor 2 is an atmospheric, good-looking and challenging game that will provide you with a few hour’s worth of gameplay, which will stretch over the course of a couple of weeks if you play for a few minutes a day, so you definitely get enough gameplay to justify the price tag. Overall, this is a spooky little game with lovely visuals and excellent puzzles. Highly recommended.